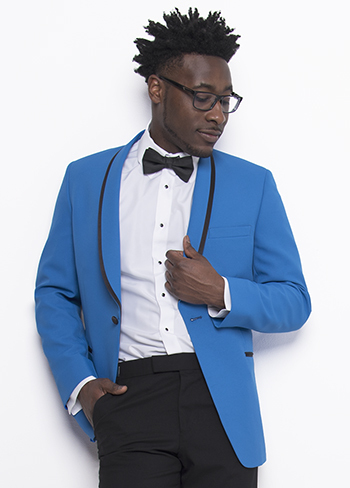 The Black Allure is a Dunhill favorite. 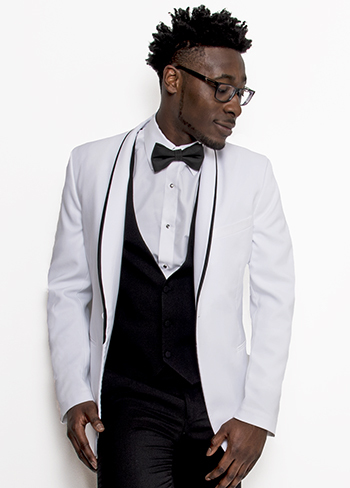 This modern fit tuxedo has the wow factor you are looking for. 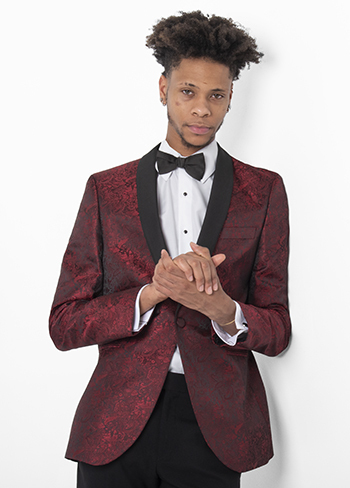 With a notch wool trim lapel, tapered shoulder and body fit, this jacket looks like it was tailored to you. 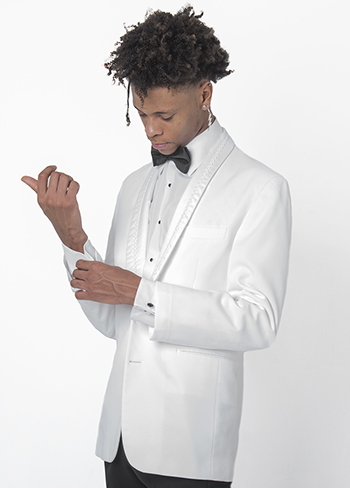 Pair it with our modern fit or skinny pants, its matching three button black vest and a black satin bow tie that gives you the perfect timeless look for a wedding or black tie gala!